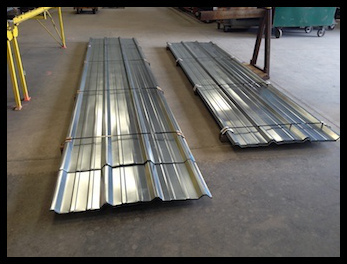 We offer 3 profiles of Metal Roof & Wall Panels in 26 Ga and 24 Ga Galvanized materials. 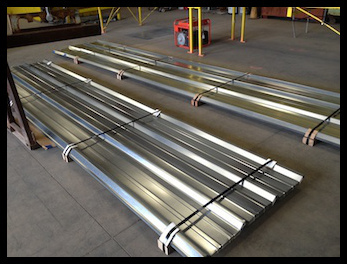 Our Maxi Rib pattern offers 36” of coverage with 1.5” ribs at 1’-0 on center intervals. Our Mini Rib pattern offers 36” of coverage with 0.5625” ribs at 6” on center intervals. Our Corrugated pattern offers 31.5” of coverage with a 0.67” deep corrugation with 2.67” on center intervals.